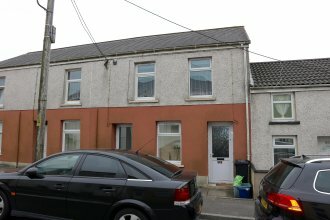 A middle terraced property comprising of two 1 bedroomed self-contained flats pleasantly situated close to local amenities. Ideal Investment Purchase. OUTSIDE : Rear yard area. First Floor Flat : Lounge —Laminate flooring. Kitchen Area—Fitted units, laminate flooring. Bathroom/.w.c.—White suite, part tiled walls..